The Elburn & Countryside Fire Protection District is happy to participate, when requested, in block and birthday parties. 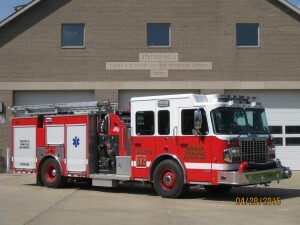 A fire engine will visit the party, and the firefighters will answer questions, demonstrate various pieces of equipment, and open the apparatus for viewing. Residents should contact the Fire Department for more information. Please allow for a 3-day response time due to the shift schedule.